Leinster Lightning claimed the T20 Trophy as they beat Munster Reds by five wickets at The Mardyke. Chasing a modest 119 for victory, Lightning openers Gareth Delaney and Stephen Doheny got their side off to a rapid start as they added 59 in just 34 balls. Delany top scored with a fluent 40 from just 22 deliveries (8 fours, 1 six), while T20 debutant Doheny showed no signs of nerves as he struck 33 from 21 balls (5 fours, 1 six). Yaqoob Ali (3-25) and Gary King (2-23) combined to produce a late wobble, but Max Sorensen's 13 not out ensured a comfortable five-wicket win with 6.2 overs remaining. Earlier, Josh Little - a late replacement for Peter Chase - took 3 for 17 as Munster's innings never really ignited. Stephan Grobler top scored with 36, while Jack Tector made 26 - both hitting 3 fours and one maximum - but the home side never put together a significant partnership as they were dismissed for 118. Gareth Delany, Simi Singh and Tyrone Kane all picked up two wickets apiece in a disciplined display. "I'm delighted with the win, very happy with the performance this evening," said Leinster Lightning skipper John Anderson. "I was particularly pleased with how the youngsters performed. Josh Little took three wickets in a great spell of bowling. "Then the two openers took the game away from Munster, Stephen Doheny and Gareth Delany who both struck the ball very cleanly. That was very pleasing seeing the way the two youngsters dominated the match. "It's fantastic we've claimed another trophy and hopefully we can make it a clean sweep when we play our remaining Championship matches." 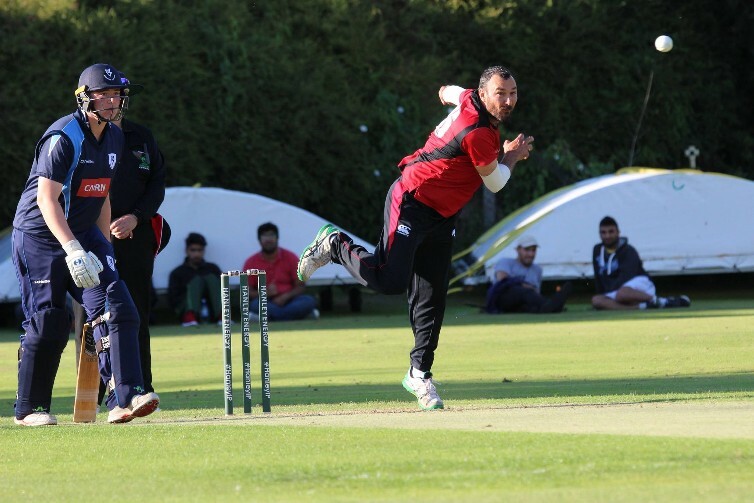 MUNSTER REDS 118 all out (19.2 overs; S Grobler 36, J Tector 26; J Little 3-17, G Delany 2-9, T Kane 2-16, S Singh 2-26) lost to LEINSTER LIGHTNING 120-5 (13.4 overs; G Delany 40, S Doheny 33, Yaqoob Ali 3-25, G KIng 2-23) by 5 wickets at the Mardyke.